Microsoft Azure has evolved into a full-featured cloud service provider that does so much more than just host your servers. There are dozens of technologies at the user's disposal for crafting a resilient high-performance cloud application. Whether you wish to master these technologies for the sake of passing the new 70-535 Azure certification exam or you just want to get a better handle on the Azure services, this course will take you on a journey into some of the most vital Azure components for infrastructure engineers. As the name implies, our priority is designing for operations. Our focus here is on DevOps - monitoring, security, automation, instrumentation - and our goal is to do it all using Azure solutions. We are going to learn how to properly instrument software applications and collect metrics for analysis and alerting. We are also going to learn how to monitor Azure itself - both the individual resources in our stack and the wider platform. We will learn all about log aggregation and network security. Finally, we will dig into Azure's numerous automation paradigms. Once you are done, you will be ready for a major section of the 70-535 exam. More importantly, you will have developed real expertise regarding Azure infrastructure. This is a short course but also a very deep one. Once you have mastered the material, you will be ready to tame any company's Azure infrastructure like a true professional. Good luck and enjoy! Greetings! Welcome to Design for Azure Operations with Cloud Academy! I am delighted to have you join me on what is bound to be an educational and delightful adventure into the world of Microsoft Azure. First I will let you know a bit about myself before I get into the course outline. My name is Jonathan. I am one of the course developers with Cloud Academy. I work professionally as a technical consultant specializing in devops, data engineering, and security. Long ago in another life I was a public school teacher, so I love educating people and I am thrilled to be doing it again only now with technology. So enough about me, let’s get into this course. Who is this course for exactly? Well two types of people really. Firstly, this course is for people taking the 70-535 Microsoft Azure certification exam. Somewhere between 10 and 15% of the exam will be the “Design for Operations” content focusing on Azure infrastructure, monitoring, and automation. If you are pursuing that particular certification than this course will help you with some of the exam’s newest and trickiest material. This course is also for anyone looking to improve their infrastructure engineering abilities with Microsoft Azure. If you are a devops engineer, sysadmin, or security specialist and plan to work with Microsoft Azure at your next job, then this course will be very helpful to you. So what exactly are the prerequisites for this course then - what do I expect you to know in order to understand the material? Well, not much actually. This is not a programming intensive subject. You do not need any deep knowledge of computer science or software development. The course will focus mostly on explaining Microsoft Azure systems and how to use the Azure user interface. You should know some basic concepts, like what a virtual machine is, or what software application logs are. You should also know some basic networking concepts, like SSL and TCP. If these sort of rudimentary cloud and software concepts are new to you, then you probably don’t need this course anyway. The course will cover a lot of information given its short length. We are go into detail on a number of Azure services and practices. You will learn all about Azure monitoring and automation systems - the kinds of things devops engineers would need to worry about in their day to day work. We are going to talk about log aggregation, software application instrumentation, and network security. There are three core learning objectives for this course. Number one is learning how to use Azure for application monitoring. Number two is how monitor Azure resources and infrastructure. Number three finally, is about task automation in Azure, including instance autoscaling. If you finish the course with a solid understanding of these three things, you will have gotten your money’s worth. Lastly I want to encourage everyone to leave feedback. Email support@cloudacademy.com if you have any questions, comments, suggestions, or concerns. We always appreciate people taking the time. Now without further ado, let’s get started. 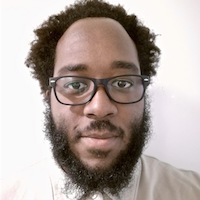 Jonathan Bethune is a senior technical consultant working with several companies including TopTal, BCG, and Instaclustr. He is an experienced devops specialist, data engineer, and software developer. Jonathan has spent years mastering the art of system automation with a variety of different cloud providers and tools. Before he became an engineer, Jonathan was a musician and teacher in New York City. Jonathan is based in Tokyo where he continues to work in technology and write for various publications in his free time.